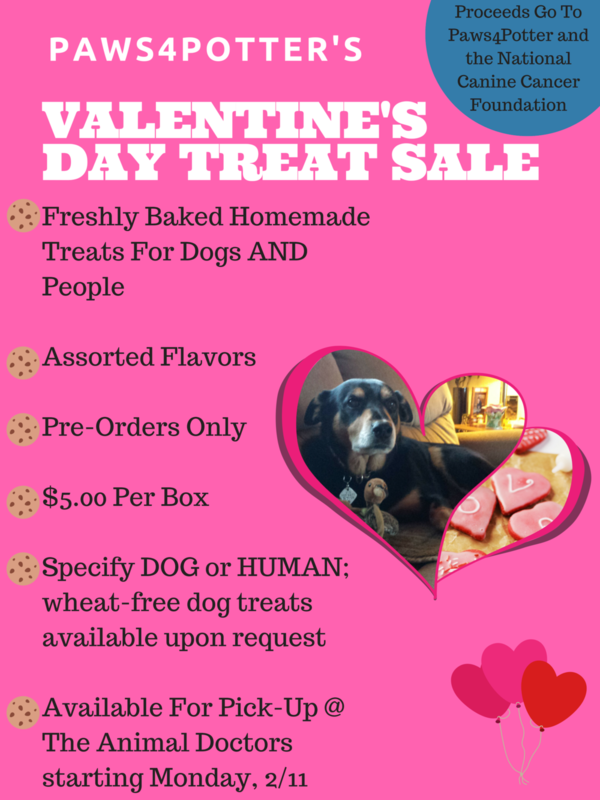 The Valentine’s Day Treat Sale is our first official fundraiser of 2019! 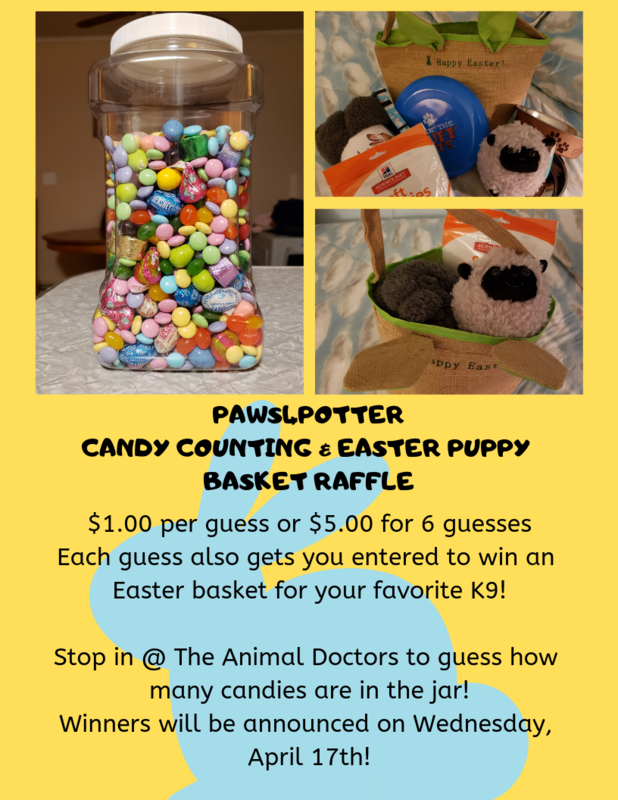 If you have a dog or human friend who would like some yummy, homemade treats, message us at paws4potter@gmail.com to order some! All of the treats are homemade and make an excellent gift! We had a fantastic time at the Syracuse Crunch “Pucks For Paws” hockey game on Saturday, April 6th! It benefited the Priscilla Mahar Animal Welfare Foundation! We are very excited and grateful to announce that we will be hosting Dr. Kendra Pope at the Hilton Garden Inn of Watertown, NY on Friday, May 17th, 2019 for what will certainly be an inspiring and informative lecture on alternative therapies for cancer in pets as well as ways to possibly reduce your pet’s risk of developing cancer in the first place! We hope to see you there on Friday, May 17th!!! A special thank you goes out to Shawn McCormick (Director of Sales & Marketing) at the Hilton Garden Inn for helping us to secure this amazing location for the third year in a row!!! 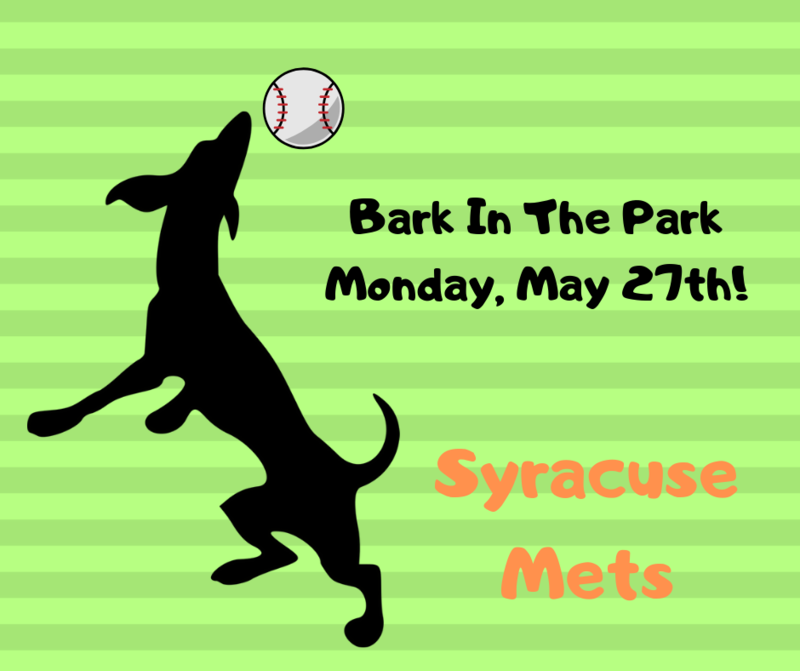 We are so pleased to be a part of the 2nd Bark In The Park event this year at the Syracuse Mets game!!! It is being held on Memorial Day (May 27th)! Check out their event page here for more details! We are so excited to have a table at one of the TIBB’s home games this year! Come out to see what will be an amazing roller derby event on Saturday, June 15th! We are venturing to Secaucus, NJ on June 1st and 2nd for the amazing WORLD DOG EXPO!!! 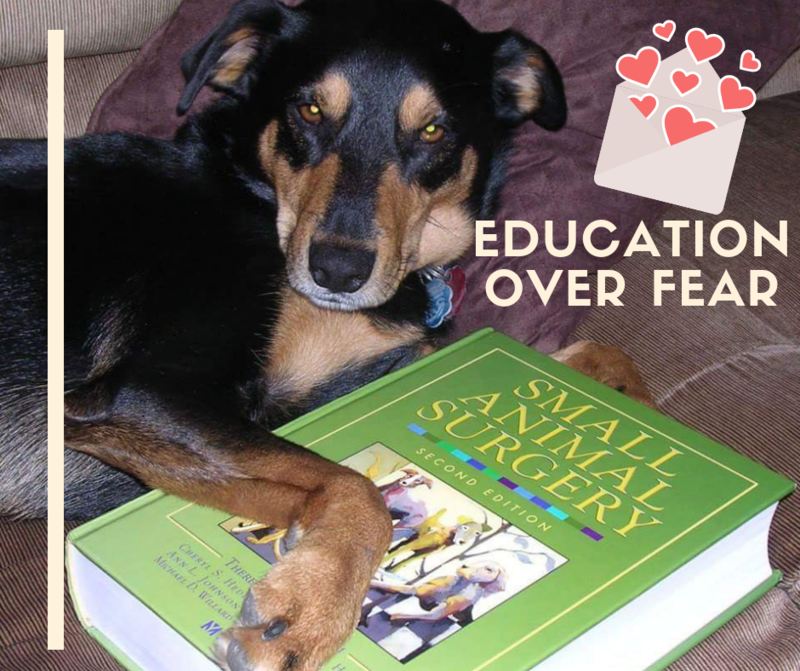 We will be among the MANY vendors at the 2-day trade show, and Dr. Kyle Stevenson will be speaking at the event: "Education Over Fear: What Every Dog Lover Needs To Know About Cancer." For more information about the World Dog Expo, click here! We will be heading to Jamesville Beach County Park on Saturday, September 21st for the third year in a row to support the Priscilla Mahar Animal Welfare Foundation at their annual Canine Carnival!!! Fun times will be had by all! This is FREE to the general public and their dogs!!! Click here for more information on the upcoming carnival! 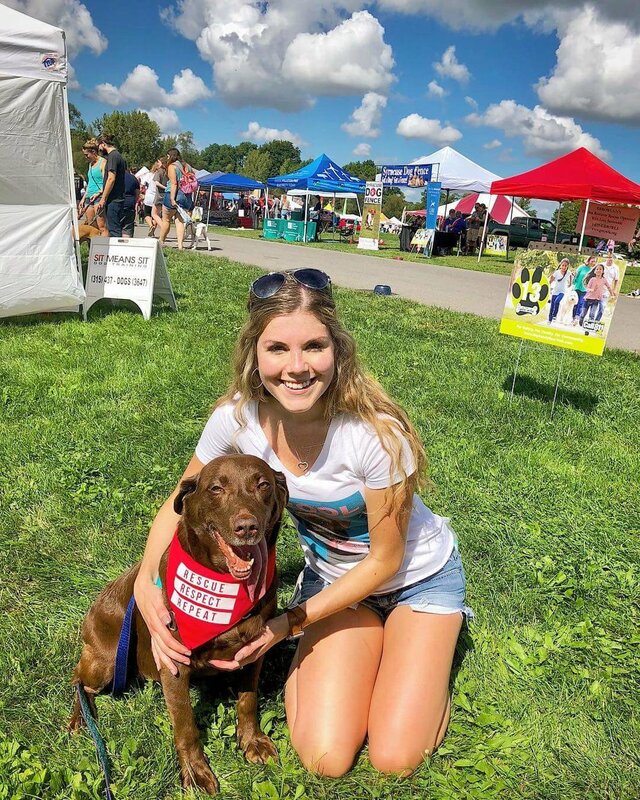 Our 4th Annual “Making A Mark On K9 Cancer” Dog Walk is coming up on Saturday, September 28th, 2019 at the Thompson Park Rotary Pavilion (Watertown, NY)! Please check back throughout the spring and summer as more details are finalized! If you are a business/organization wishing to sponsor or attend this event, please check out our sponsorship information sheet here. Please contact us at paws4potter@gmail.com if you would like to register your business/organization for this event!